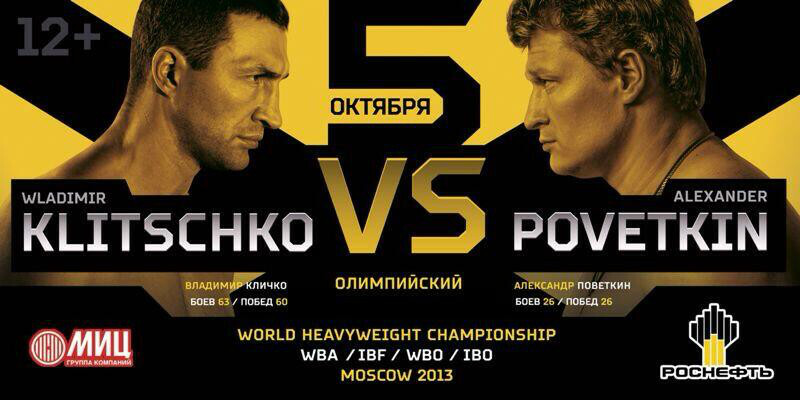 It's not everyday that we have a major Heavyweight contest but that's exactly what we have this weekend in Russia as Wladimir Klitschko battles Alexander Povetkin. With such a huge fight and with so much on the line we'd have expected a some sort of amazing poster. Instead of being something magical and special the poster is very simple and very basic, yet also something that oddly works. The yellow and black looks like danger, like a wasp, the two men look focused and the writing, whilst bits are in Russian, is pretty straight forward. In fact if anything this works just as well as something a lot more flashy and impressive.